Patience, patience, patience. (Honestly, this could rank as numbers 1, 2, and 3 on the list.) Taking on the education of intense kids requires a tremendous of patience. There will be days when you absolutely need to just step back from the situation and take a deep breath (or ten…or fifty.) If you feel as though you’re not a particularly patient person, don’t let this discourage you. God gives grace, and teaches us as we go. Parenting requires prayer. No doubt. And parenting a wild child? Dear Lord. These differently-wired students constantly surprise, don’t they? The homeschooling method you thought was going to be a panacea might backfire spectacularly. 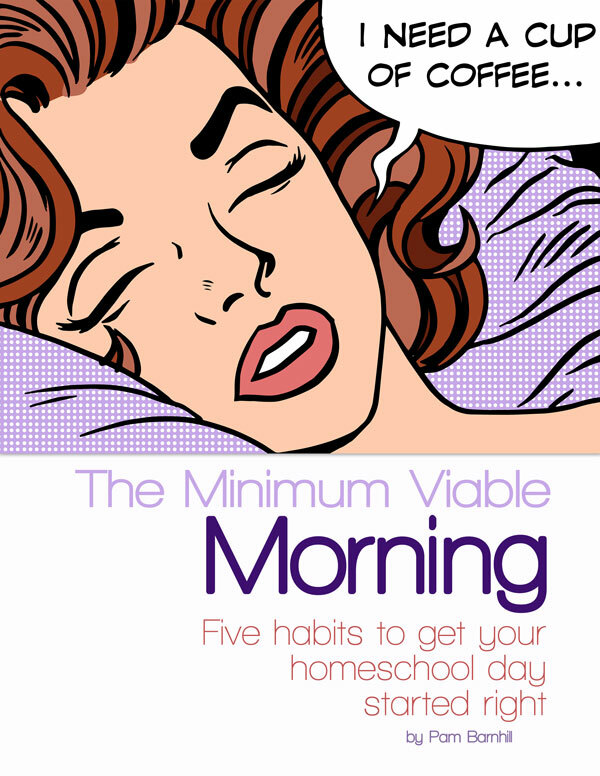 The pacing recommended by all your homeschool friends might have worked for them, but it might be a disaster for you. Gifted / 2E kids don’t play by the rulebooks. And homeschooling gifted kids is going to require flexibility. Give yourself the freedom to drastically alter — or drop — the homeschool book or curriculum or method which just isn’t working. This doesn’t mean you’re a failure — it just means you’re not willing to spend waste your time straining after methods which simply don’t work for your child. Often, I can hear the sat nav / GPS’ voice in my head –“recalculating“. Homeschooling a gifted child means spending a lot of time recalculating. This can be so humbling! Academically gifted kids like my daughter move at such an incredibly accelerated rate, it sometimes feels like I’ve barely found my footing in a certain subject area, when my daughter has already devoured the material. Or I’ll put a lot of time and effort into gathering materials, books, and printables for a special topical study — and she’s done with it 3.2 seconds flat. Or other times, in the face of an especially difficult behavioral challenge, my solution works fine at home, but goes up in a dazzling and exceedingly indiscreet burst of flame in public. Or maybe your kiddo’s most passionate interests lie in areas far removed from your own, so you are having to lay down your idea of what you thought childhood would look like, and allow your child to be the person God created her to be. I really don’t think there’s any way to parent an out-of-the-box kid without having one’s pride constantly put into check. Wait, you say. Didn’t you just say you need humility? Yes. But you also need confidence — a whole lot of confidence. 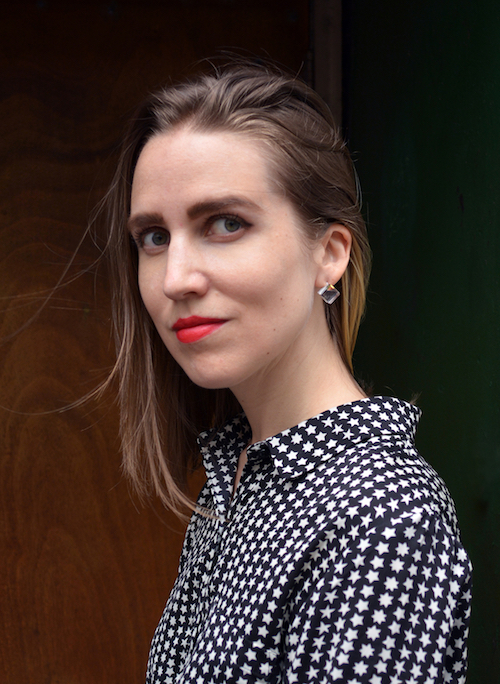 Blogger Ginny Kochis describes imposter syndrome as “feelings of fraudulence and inadequacy that exist despite overwhelming evidence to the contrary….impostors only experience emotions of fraudulence in the fields in which they excel.” Let that sink in — and think about how that might affect gifted learners and how they are perceived! Ginny has excellent tips for recognizing and derailing imposter syndrome in gifted kids. • “Gifted students are significantly more likely to retain science and mathematics content accurately when taught 2-3 times faster than ‘normal’ class pace. • Gifted students are significantly more likely to forget or mislearn science and mathematics content when they must drill and review it more than 2-3 times. Finding someone who gets you and understands your unique situation makes all the difference. (The first time I heard Colleen of Raising Lifelong Learner speak? I cried. No one had ever told me before that our weird brand of academic normal was okay! I’d only been told that I was ruining my three-year-old’s childhood by letting her have the math book she so desperately wanted.) You might know Colleen — and Cait of My Little Poppies — from the well-known Raising Poppies, a Facebook support group for parents and caregivers of gifted kids. 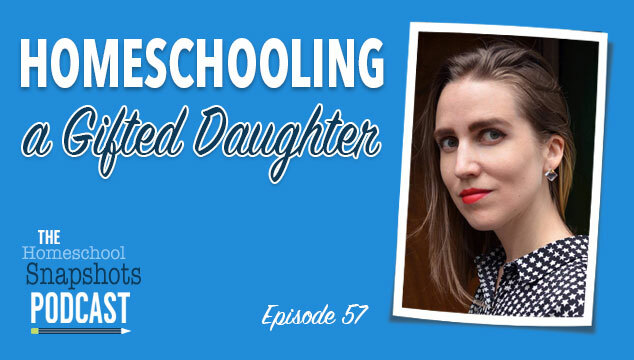 Cait and Colleen both homeschool, so they recently also launched an official spin-off group, too, called Homeschooling Poppies…A Raising Poppies Community. I help moderate both groups. Join Homeschooling Poppies…A Raising Poppies Community. I monitor and limit screen time, but I don’t shun it entirely. We live in a very connected world, and our family embraces technology. Actively using one’s brain to work out a challenge on-screen is much different than mindless consumption of entertainment media! Ads are distracting at best, and offensive at worst. AdBlock for your web browser takes out all those blinking banners and animated sidebars, and usually even wipes out YouTube ads! Yes, email. My seven-year-old has her own email address, and starts her school day with fifteen minutes of supervised email time. Most of the email she receives at this point is from me — I forward her daily news shorts for kids, interesting facts I come across, or send her short writing assignments she can complete by replying to the email. It’s great for keeping in touch with cross-country family members, and for low-pressure typing practice, too. The weekly logic puzzle is usually a sample page from a Critical Thinking Company book, sent as a PDF attachment to an email newsletter. When you sign up, you can select Grades K-2, Grades 3-5, Grades 6-8 — or all three. I forward the weekly printable to my daughter’s inbox. Based on a riff off the classic abacus, this free interactive math website guides students through a series of videos and math games. There’s also a screen-free version, if you prefer to print out the PDFs for each module rather than watch the videos. Totally free; simply set up a teacher account, then allow your student to dive in. Ever notice how most of the math websites and apps for kids are geared toward elementary grades? Math Planet, recommended to me by Marie of Faithfully Wandering, covers Pre-Algebra through Geometry. My seven-year-old LOVES Quizlet. Create your own data set, or choose from hundreds of pre-created ones. Absolutely amazing for anatomy, foreign language, and more. Don’t miss the print option, which lets you print out flashcard PDFs. It’s become an integral aspect of our Chinese learning. Rather than the app, I prefer the computer or browser / web version of Spotify; it gives you more control and lets you play specific songs (the app often forces you to listen on shuffle play mode.) My favorite tip? Type in “This is: Mozart“, “This is: Johnny Cash“, or “This is: ____” to get a staff-curated 50-song playlist of well-known titles! And don’t miss Composer Weekly, a series of 30-song playlists highlighting both lesser-known composers and specific time periods of well-known composers alike. Gifted kids are often unsatisfied with what’s already been discovered; they’re asking the hard questions about stuff that hasn’t yet been figured out. Marie of Faithfully Wandering told me about Zooniverse, which actually lets you join researchers and contribute to dozens and dozens of projects. I almost didn’t list Khan Academy, because I feel like everyone already knows about it — but maybe not! It’s free, and you can learn essentially any K-12 subject. NASA Science’s interactive and encyclopedic website just for kids — Space Place! Don’t miss the Educators section, with some pretty impressively in-depth printables, lesson plans, activities, project ideas, and more. Another discovery by Marie of Faithfully Wandering! Subscription boxes add clutter, but digital subscriptions don’t. Here are the ones I think are worth the money. Every single weekday, World News Group editors send a kid-friendly news story via email. These daily news shorts for kids are relevant to actual current events, but written for a young audience. These news emails are — hands down — our favorite part of our discounted World Kids Magazine subscription. For just $14.99/year through the Homeschoolers Buyers Co-op, you get a physical kids news magazine through the US Mail, a monthly PDF download containing writing assignments and quizzes, access to a kids new website, and amazing daily news emails. Mission St. Clare uses the 1979 version of the Book of Common Prayer. Why this app and not many others like it — or a paper version? Because this daily office app includes beautiful audio recordings of all the hymns and songs for each day. We use this first in our morning time routine. (The audio isn’t provided for the Book of Common Prayer excerpts — just for the musical portions.) The app auto-updates daily. I love this easy to way to include daily hymns! My daughter has learned so many already this school year. Yes, a website with the same name; they each provide different content. In our morning time routine, we first use the Mission St. Clare app (above), then move on to the Mission St. Clare website (I saved the link directly to our iPad home screen.) The website features a 15-20 minute service recorded at The Episcopal Church in Garrett County, Maryland. It’s updated each day with a new recording. And the main Mission St. Clare website has lots more audio components and resources for structured worship, too, including afternoon services and evensong. This app is essentially an ESV-version audio Bible app, which reads aloud a different selection from various books of the Bible each day. The BCP app is the third and final component of our current morning time. Outside of morning time, we love Ancient Faith Radio. There are two streams: music and talk. Music is our top choice for calming — not distracting — background music. (Classical music can get distracting, because my daughter is so opinionated about the composers, but this is relaxing and helps her focus.) You can listen to browser-based Ancient Faith Radio on the web, too. An incredible app; it even reads to you! The Bible App supports hundreds upon hundreds of versions and has multiple languages, making parallel study easy. Add notes, highlight, compare versions and languages, set up a daily reading plan, and more. Try it! This colorful animated Bible App for Kids reads the Bible aloud, has games, and supports multiple languages. We have ours set to Chinese. We’re half way through now, but there are still fifty more awesome resources to go. Talk to your librarian — or search on your library’s website — to find out what digital resources are at your disposal! Lots of paid apps are actually available for free, simply by leveraging the power of your library card. There are a wide variety of languages offered — more than 60 — so if you’re looking outside the usual Spanish/French/English window, see if your library card number works. There’s a browser-based version of Mango, too. Your library card might give you access to Hoopla, a neat multimedia app (and website) which lets you check out music, movies, TV shows, and books. I like this language-learning app because it’s totally free, and it allows you to test out of the easy introductory levels. And Duolingo is also available on the web. Yes, the super-standard, über-basic app which comes pre-loaded onto your device. We use it all the time in our homeschool. It’s great for practicing recitations, working on articulation, timing how quickly you can read a passage in a foreign language, hearing yourself read with expression, and more. You can even dictate spelling lists or pre-record dictation for your kiddo’s independent work later! If your house is overflowing with paper scraps and notebooks, move some creativity into the digital realm with this interactive sketching and journaling app. You can organize journals by theme, take photos and annotate, and more. And none of them add to household clutter! Especially marvelous if you happen to have a iPad Pencil, but it’s not required. Honestly, most math apps are really poorly designed. But several stellar options stand out; mostly the DragonBox series. Introductory algebra concepts disguised as fireflies and other creatures — so fun! The most complex and challenging of all the DragonBox games. Continues where DragonBox 5+ left off. Listed for 12-18 years, but my 7-year-old who is currently doing 4th and 5th grade math is slowly going through it. It’s not overly-easy by any means. The only DragonBox game we haven’t used, Numbers is designed for very young children and teaches number sense. The second-easiest title in the DragonBox math suite, Big Numbers teaches addition, subtraction, carrying, and borrowing. Completely different from the other DragonBox games, this one focuses on geometry. Quite challenging! I asked my daughter to list her favorite games (in no particular order) and share a little about each one, too. Here’s what made the cut! Twenty-five more homeschooling tips still in the wings…. Sometimes, the clock on the wall means nothing. You know what I mean, right? Most kids have a disconnected sense of time, but for 2E kids, understanding the passage of time can be especially hard. And time management — what a challenge! Thankfully, we have a few go-tos to help in this difficult area. The Time Timer visually shows kids how much time is left, which helps so much in learning how to conceptualizing the abstract passage of time. This is on my wish list; it’s the digital version of the physical Time Timer. Do you have a child who always, always wants to know what’s happening next? A visual schedule can be a game-changer! This handy set of visual scheduling magnets is substantial — over 130 magnets — and contains most of the tasks and school subjects you’ll need to map out a routine. This inexpensive magnetic whiteboard works really well with the above schedule magnets. Since the board is a washable surface, you can use a dry-erase marker to write in any additional schedule items not included in the magnet set. If you can’t spring for the whiteboard and magnet combo, consider Kimberly’s daily visual schedule printables. She has several great sets! “Alexa, set a 5 minute timer.” “Alexa, when’s my next reminder?” “Alexa, set a reminder for eleven a.m. each day.” We love our voice-activated robot friend. I’m constantly directing my daughter back to The List. In fact, she never argues with The List, only with me. So, I leverage the power of the list. I like Pam Barnhill’s clipboard and checklist download. And yes. Now it’s time for YOU. I don’t know how I’d homeschool without Christ in me, the hope of glory. His power is made perfect in my weakness  (and I have a lot of weakness!) This gorgeous Bible — the hardcover is wrapped with tomato-red, orange, green, and pale yellow painted canvas — is written in Eugene Peterson’s modern, narrative style, and has gorgeous line-drawn illustrations throughout. I’ve read the New American Standard Version for years — and most of the verses I’ve memorized are from this version. But reading the Message (above) and the ESV (below) lately is pouring new life into familiar passages, too! This square-ish hardcover journaling Bible has significant space to write on the left and right margins of each two-page spread. These are delightful. Would you believe I like them better than PaperMate Flair? Every morning. And every afternoon. I’m partial to Trader Joe’s whole bean dark roast, although I’ll go for a smoky Ethiopian or Guatemalan roast any day. There just something coffeehouse about using a French Press at home. I love it! Thanks to my Italian genes, I have blue, green and purple veins under my eyes. (If I go #makeupfree, people express condolences for my apparent illness.) So I’ve tried just about every concealer every made. Nothing comes close to Bye Bye Under Eye by IT Cosmetics! Did you know our soil is so depleted from over-farming — and from not rotating crops properly — that most of us are now highly deficient in minerals like magnesium? Stress depletes our bodies even further. I mix some Natural Vitality Natural Calm Magnesium Powder into a cup of water every night before bed, and sleep so much better now. Organic lavender oil is a classic for a reason. I’m a massive fan of Plant Therapy, a non-MLM essential oil company. (I’ve used various brands of essential oils for about fifteen years, and have never been a brand rep. In fact, I’m not a rep for Plant Therapy, either; this is not an affiliate, referral, or tracking link.) Plus, Plant Therapy is vigilant about using essential oils safely, has organic options, and offers free shipping. Most diffusers are extraordinarily overpriced! I have a small, simple one — similar to this diffuser — and I use mild oils. Remember, please don’t diffuse certain oils like cinnamon, tea tree, rosemary, or peppermint around kids. Certain oils are not okay to diffuse around children. *Contrary to popular belief, that popular thieves’ blend is not safe for kids’ lungs!) And don’t diffuse oils from trees — like spruce or fir –unless you know you’re not allergic. Stick with singles, not blends, until you know how you react. Plant Therapy has kid-safe essential oil singles, which are a great diffusing choice. Or add them to your Christmas and birthday wishlists! After a long wait, I was accepted into Amazon Merch (yay!). Here are a few of my designs, a couple designed by my hubby, and one from Colleen Kessler of Raising Lifelong Learners too. No matter how much fun you’re having, someone always still wants to go to the library afterwards. Aveline gets tons of compliments when she wears this one. 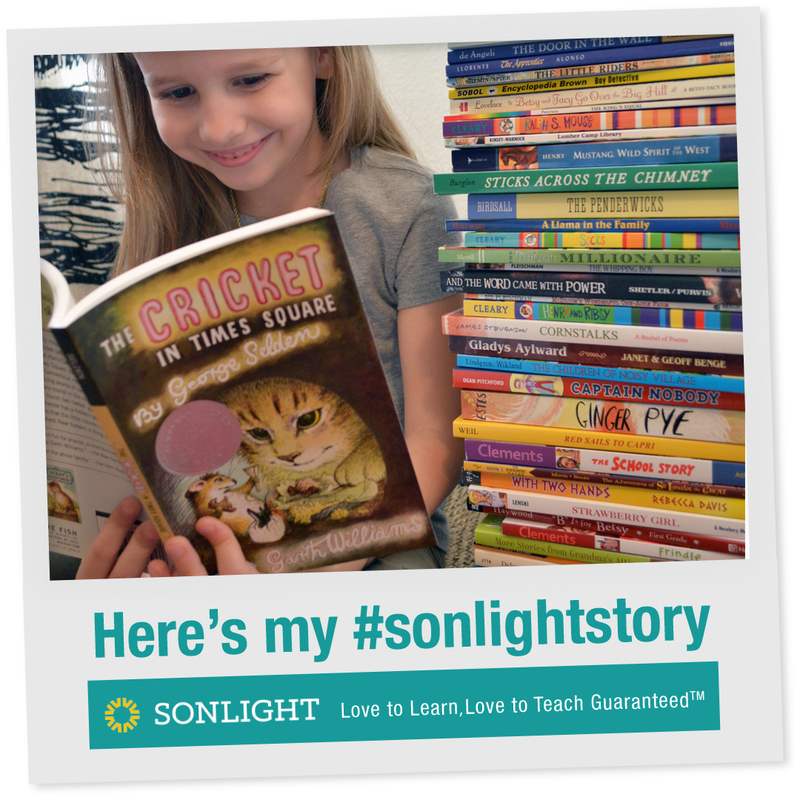 This brilliant tee is one of Aveline’s absolute favorite shirts of all time — and it’s from our friend Colleen over at Raising Lifelong Learners! Just. give. me. all. the. coffeez. I mean, seriously. Don’t you have a cold cup of coffee languishing somewhere? I know I always do. This about sums up life as the parent of a gifted kiddo, doesn’t it? Pass the coffee! Have a question about homeschooling gifted kids? Homeschooling gifted kids can be feel very lonely and isolating, but it doesn’t have to be. Now that you’ve reheated your coffee, want to chat? You can leave a blog comment right here — and I’d love it if you’d join my online homeschool group for outliers! It’s a small community, around 200 members, but very active and encouraging. I’m also active on Instagram @oaxacaborn, share snippets of our day in Instagram stories, and try to reply to all my DMs. If you liked 100 Essential Tools for Homeschooling Gifted Kids, why not click here to get this post’s Permalink, then pin it to Pinterest? Want Even MORE Lists of 100 Things? 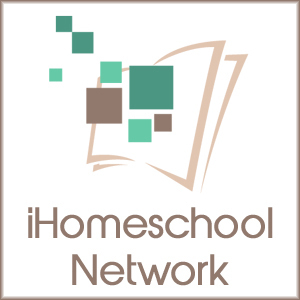 This post is linked to iHomeschool Network’s 100 Things: A Cache of Homeschooling and Family Treasures. Read lots more collections of one hundred homeschooling things!